New rules aim to crack down on urban-dwellers who take shortcuts through Leonia, N.J., while following instructions from navigation apps. If you want to drive through the small residential streets of Leonia, N.J., you'll have to move there. Starting Jan. 22, the town will ban all non-residents from driving on 60 of its streets during the morning and evening rush hours. The new rules aim to crack down on urban-dwellers who take shortcuts through the town while following instructions from navigation apps like Waze, Google Maps or Apple — a phenomenon Mayor Judah Zeigler says is causing gridlock, costing money and putting people in danger. "What's happening with the adoption of Waze and Google Maps and other navigational apps is these vehicles are ending up on our narrow streets," Zeigler told As It Happens host Carol Off. "It takes people 15 minutes to get out of their driveway sometimes." 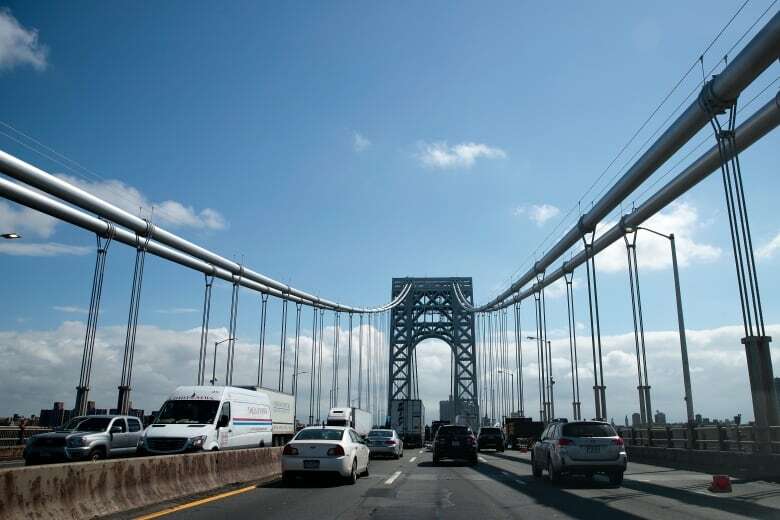 The small New Jersey borough is minutes away from the George Washington Bridge to New York City. Whenever there's a problem on the bridge or a Manhattan highway, Zeigler said the apps tend to divert people through his town. It's not a problem unique to Leonia. Residents in California and Massachusetts towns are grappling with how to handle increased traffic from Waze, an Israeli app that uses crowdsourced data to suggest the best possible route. One Tel Aviv suburb even sued the company in December 2016. While Zeigler admits commuter traffic comes with the territory of living in New York City's shadow, he said narrow residential streets just weren't made to handle bumper-to-bumber gridlock. "I'm not suggesting that Waze isn't a benefit," Zeigler, who uses the app himself, said. "The problem is there are unintended downstream consequences of that, and that is a very, very significant amount of traffic being pushed onto very narrow streets. "When you're in an unfamiliar place and you're using Waze, you're not looking out the windshield of your vehicle — you're looking at the Waze app." When the new legislation takes effect, all but three of town's main roads will be off-limits for non-residents during peak driving hours. Residents will be given yellow car stickers to set them apart from outsiders. The town is hoping the apps will take the new rules into account and stop sending drivers through Leonia's sidestreets. "If a road is legally reclassified into a private road, our map editors will make that change," Terry Wei, a spokesperson for Waze, told the New York Times. "It is our goal to work holistically with our community of drivers, map editors and city contacts to improve the driving experience for all." Zeigler said the town's police force will also be on the streets to enforce the new rules, which could see drivers strapped with $200 fines. But he said said the first couple weeks will be more about issuing warnings than writing tickets. "Our goal is not to increase revenue into the municipal coffers. Our goal is to get traffic off these narrow side streets," he said. He said the town is also working on a solution for non-residents who come to the city for good reason — such as visitors, dog walkers or babysitters. In the meantime, he said he's received a fair amount of backlash, both from out-of-town commuters and officials in neighbouring cities. But he stand by the new rules. "I've been called a bunch of names, but I'm the youngest of four kids, so my skin is thicker than that," he said. Have you noticed more traffic in your town or on your street? 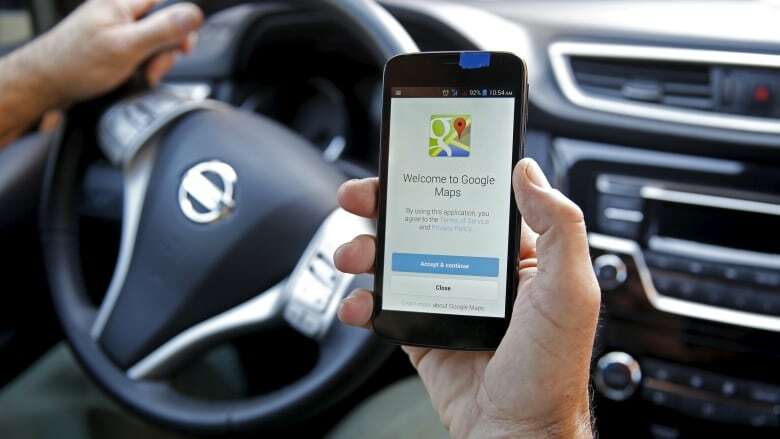 Are you convinced all those cars are because of apps like Waze and Google Maps? If so, tell us what it's like. You can reach us by phone 416-205-5687. Email us at aih@cbc.ca. Or, share your thoughts on Facebook and Twitter.